We are happy to announce that two collaborative projects that DSGN AGNC has helped found and guide will be displayed at Spontaneous Interventions: design actions for the common good, this year’s theme at the U.S.A. Pavilion of the Venice Biennale. The Urban Intervention Camp (UIC): CasaMare is a collaborative project by New York-based practices DSGN AGNC, Change Administration, and Street Plans Collaborative, being done in partnership with the Venice-based group, Urban Trickster. From August 30th through September 1st, a series of public space interventions will be held in Venice, Italy and surrounding areas that focus on Badanti — the immigrant community that provides services to the aging population of Venice. 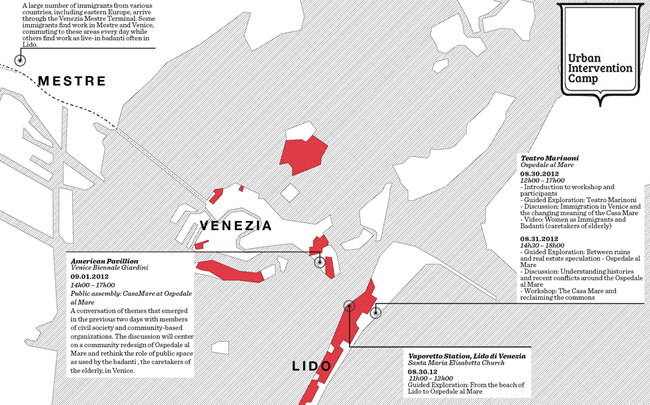 -Learn more about the UIC: CasaMare. -Print the UIC: CasaMare schedule and map. 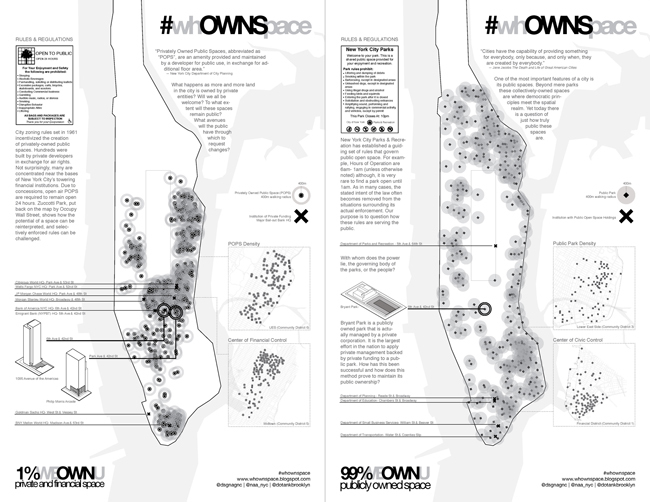 The work of the #whOWNSpace collective, initiated and guided by DSGN AGNC, is among the projects that will be displayed as part of the Spontaneous Interventions exhibition inside the U.S.A Pavilion. DSGN AGNC founder Quilian Riano will be part The Image of the City, a panel discussion on Wednesday August 29th at 11:30AM in the Venice Biennale U.S.A. Pavilion.